WARNING: Happy Jacks Surf Shack is dangerous. You will spend WAY too much time and money in there. Besides that, we love everything about this Bolton Landing store that is filled to the brim with gifts, souvenirs, apparel, and shoes. Everything about this store says fun! The owner, Jeff (who we love BTW), approached us in need of a new brand. His current logo was near and dear to his heart because it was the same logo he had when he opened shop. But that was 13 years ago, and it was time to update. 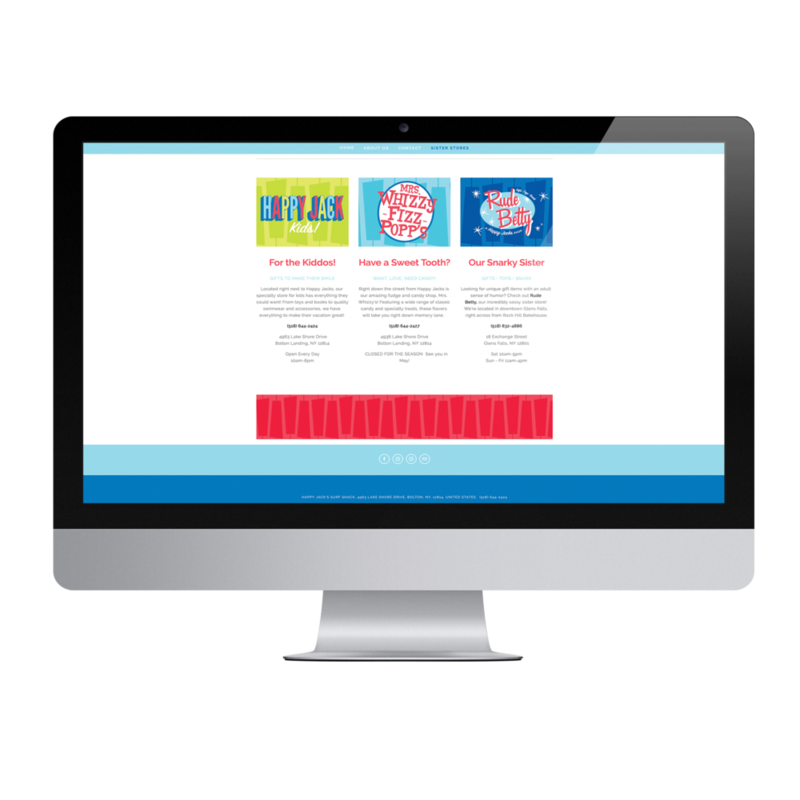 Jeff’s style is bright, vibrant and bold which totally comes across in his business. We encapsulated that in his logo with a bold 3D typeface and bright colors. What comes after a new logo? New website! 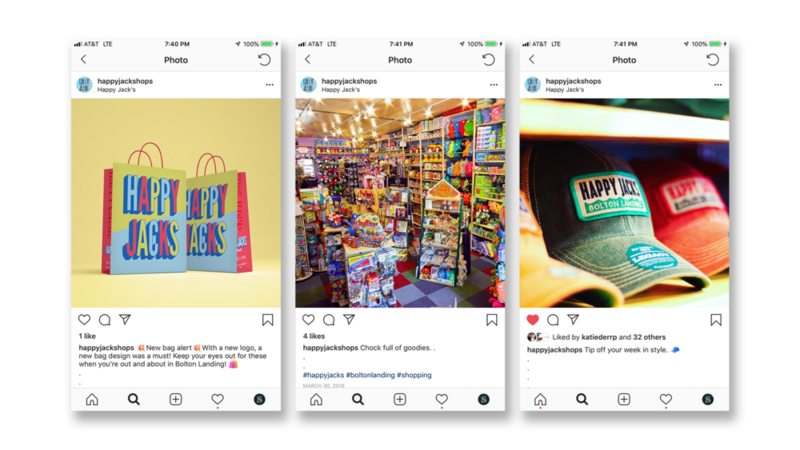 We used bright colors, big pictures and bold text to carry the atmosphere of the store and brand to the screen. If you’ve ever been to Bolton Landing than we guarantee you’ve seen someone (but probably multiple people) walking down the street with a Happy Jacks bag. Jeff has always gone with totally custom, full color, full coverage bag and it’s one of his best advertising tools. We updated the design to reflect his new branding. We created new merch in an updated color palette that we knew would be popular with men and women alike. 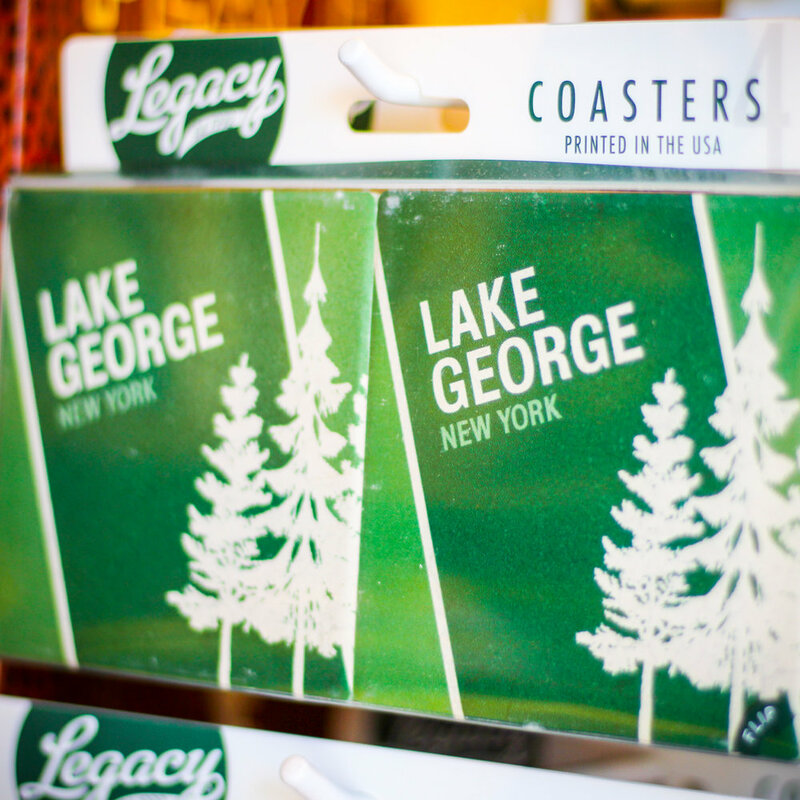 Shelves full of fun games, snarky dishtowels and Lake George souvenirs were all begging to be highlighted and we’ve had so much fun grabbing photography of their products and managing their social media. Seeing peoples positive comments and reviews are a testament to just how awesome this place is!